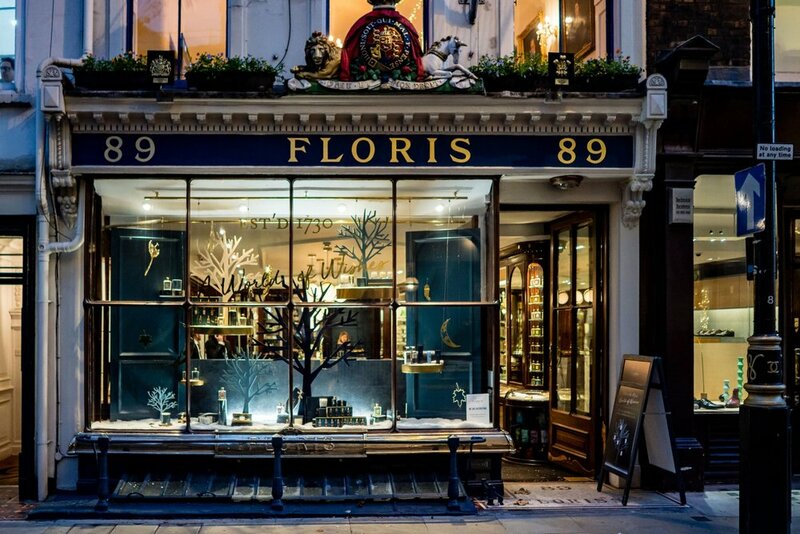 Based on the traditions of wishing around the world, this Christmas campaign for Floris features a window display filled with gold icons from dandelions to wishbones, floating shelves adorned with wishing trees and product and a base filled with snow. In-store a huge wishing tree acts as the centre of a visual merchandising display and as a marketing activation in store where shoppers are encouraged to write their names onto gift tags and hang them onto the tree for the chance to win prizes. The window display is complimented by a series of marketing materials including, brochures, point-of-sale displays, website and social media graphics all drawn from two photoshoots art-directed by One Big Company and shot by Lux Digital.